We want to play your games at TERMINUS (June 15-17, 2018)! Submit for an opportunity to have your games as part of our game play room and expo. Selected games are judged by a jury of industry professionals and compete for Golden Joystick Awards and prizing. We are accepting works in progress and completed games for all platforms from students, entrepreneurs, and industry professionals. A playable version of the game must be available by June 1, 2018 to exhibit at TERMINUS and for judging. Link to video of 3 to 5 minute game play-through. Submissions are open to anyone 17 years or older. Student submissions are open to anyone who is at least 17 years old and is currently enrolled in school. Game submissions must have not been released to the public before January 1, 2017. Game submissions released as an Open Beta before January 1, 2017 are eligible to submit as long as the final release was not before January 1, 2017. Final date to submit a game is Friday, April 13, 2018. Final Notifications: All submitters, including selected Game Finalists, will be notified via email by Wednesday, May 9, 2018. A minimum of 12 finalists will be chosen from submissions. Additional finalists may be selected as space allows. All finalists will have the opportunity to showcase their games in the Expo and Game Room. Finalists will be expected to supply their own computer, console, or other platform required to display their game. All finalists will receive feedback from the judges. Finalists showcasing their games in the Game Room will be eligible for the Golden Joystick Award for Fan Favorite. A jury of industry professionals will chose the winners of the Golden Joystick for Best Overall Game, Golden Joystick for Best Student Game and Golden Joystick for Best Game Design. The winners of Best Overall Game and Best Student Game will get a one-on-one session (in person or by phone) with an industry professional. Companies and teams of any size are eligible to submit. Note: In line with our mission, greater weight will be given to emerging developers and companies when evaluating submissions. Games submissions released as an Open Beta before January 1, 2017 are eligible to submit as long as the final release was not before January 1, 2017. Selected finalists grant TERMINUS the right to use stills and excerpts for promotional purposes. TERMINUS and related entities, as well as the members of the Jury judging submissions, are not liable for any future work created that is superficially similar in part or in full to the ideas contained in submitted documents. TERMINUS will work to resolve amicably any disputes. TERMINUS reserves the right to cancel, terminate, modify, or suspend this category in its sole and absolute discretion. Any and all submitters will be notified of any changes before changes are made. By submitting any and all materials to TERMINUS gaming categories, individual submitters are acknowledging that they are a fully authorized representative. TERMINUS reserves the right to cancel, terminate, modify, or suspend any and all of the categories in its sole and absolute discretion if they are technically corrupted, or are incapable of being run as planned. 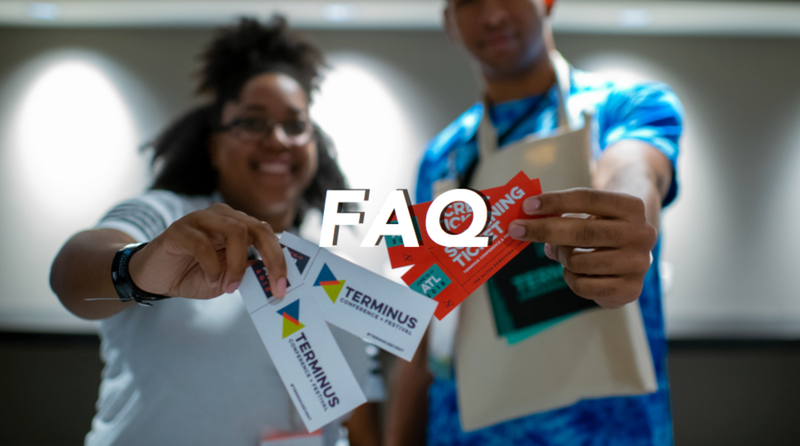 In such event, TERMINUS will post notice on-site at the Conference and Festival and on the website and will implement an alternate means for awarding all prizes if warranted. If any part of these rules are held by a court of competent jurisdiction to be invalid, illegal, or otherwise unenforceable, such part will be deemed modified or eliminated to the extent necessary, in the court's opinion, to make it enforceable while preserving the original intent of TERMINUS and related entities. Do I Have To Be A Student To Submit? No. We accept submissions from developers of all levels. Do Games Have To Be About Movies? Nope. Games can be about any topic and are not restricted are not restricted to any specific genre, game type or platform. Are Accepted Games Eligible For Awards? All accepted games are in competition for a Golden Tripod award. A jury will narrow the games down to the top nominees, which will be revealed at the awards ceremony. Do I Get A Badge If My game Is Accepted? Yes. Accepted developers receive two (2) All-Access badges. Additional badges can be purchased at a special rate of $50.